When led by a Registered Nurse, Licensed Practical Nurses can be valuable members of the patient care team. The LPN performs nursing functions as defined by the scope of practice in Alaska’s nurse practice act. An individual becomes a licensed practical nurse after completing a 12-month nursing education program, offered through a community college or high school, and passing the state licensure exam. The nurse practice act defines the scope of practice for LPNs working under the direction of a registered nurse. The supply and demand for LPNs in Alaska remain constant in spite of wide fluctuations in other states. LPNs are still quite relevant especially in rural and medically underserved areas. Becoming an LPN is one of the fastest ways to enter the field of nursing and is a more attractive option than becoming a certified nursing assistant. The position allows individuals, who desire to become a registered nurse, the opportunity to make a living while pursuing advanced studies, which is becoming more expensive with each passing year. Practical nursing education prepares students to perform safe nursing care as practical nurses under the guidance of a registered nurse or licensed physician. Students with no experience in nursing, obtain entry-level skills through classroom instruction and supervised hands-on practice in the school’s lab, hospitals, and long-term care facilities. Enrollment is limited in Alaska’s lone practical nursing program. Therefore, it is important to prepare in advance by submitting your application early and fulfilling the requirements for enrollment, which can take some time. The program follows the curriculum framework outlined by the Board of Nursing and equips students with all the skills they need to assume the role of a practical nurse. Students learn how the body functions and the impact of emotional and mental well-being on a patient’s health. Course instructors emphasize the principles that are critical for developing, implementing, and evaluating a patient care plan for individual patients. In the classroom, students receive an introduction to basic nursing concepts, nutrition, human growth and development, pharmacology and medication administration, body structure and function, roles and responsibilities of practical nurses, personal, family, and community health concepts, communication and interpersonal relationships, legal aspects of practice, current issues and trends, and medical, surgical, pediatric, maternal, and geriatric nursing. The clinical aspect of the program follows the same lines as the classroom instructor to reinforce the principles in a real-world setting. Students are exposed to the world of work and develop those skills that are attractive to potential employers. Only applicants with a current and valid Certified Nurse Assistant registration with the State of Alaska Board of Nursing will be considered for enrollment. Additionally, applicants must have a high school diploma or GED transcripts or a passing score on the Acccuplacer Test. Prerequisite courses include high school chemistry or non-credit college chemistry with lab. TABE test scores should confirm the applicant’s reading level at 12th grade or above. The competitive program also requires 21 general education college credits at college level and Basic Life Support for Healthcare Providers. Prerequisite education in human anatomy and physiology, microbiology with lab, nutrition, English, written communication, and human lifespan development. Medical requirements include MMR, varicella, and Hepatitis B series immunizations and TB testing prior to the clinical experience. All students accepted on a provisional basis will be expected to provide a criminal background check from the Certification and Licensing Department, Alaska Division of Public Health. Program graduates will be eligible to take the NCLEX-PN for licensure as an LPN in the state. The Alaska Board of Nursing has the final say on your eligibility for the state exam. Duration and Cost of Training: The cost of the 12-month LPN program at AVTEC is $6,310 with tuition, fees, books, and supplies provided by the institute. The course is 1,212 contact hours covered over 176 training days. Classes meet during the day only; 8:00 am to 3:00 pm from Monday to Friday. The estimated cost of attendance is based on resident status. Out-of-state students will pay more. The cost does not include expenses for the prerequisite courses, CPR certification, CNA training and certification, and immunization and criminal records check. The NCLEX examination tests the candidate’s knowledge, skills and abilities that are essential to the safe and effective practice of nursing. The Alaska Board of Nursing uses the pass/fail results to make a decision on the candidate’s request for licensure. To take the exam, you must fulfill all the Board’s eligibility requirements and submit an application to the Board’s office. Registration for the exam is available at Pearson Vue online or by phone. Both options require payment of the $200 fee using a credit or debit card. Submit your application to the Board before registering for the NCLEX to avoid delays in processing. Make sure to use the same name on both applications, provide your social security number, and a valid email address as communication from Pearson Vue is primarily through email. After the Board reviews your application and required documents, they will authorize testing. Pearson Vue will then issue the Authorization to Test (ATT) within 48 hours of the Board’s approval. The ATT contains important information, such as the authorization number, your candidate identification number, and expiration date. Take note of the information and use it to schedule a convenient test date within the window granted by the ATT. If you do not take the test before the ATT expires, you will be required to submit another application and fee. It is recommended that you review the NCSBN’s Candidate Bulletin thoroughly before taking the exam. It contains vital information on the registration process, the exam, and your requirements for test day. The Bulletin is your guide to success. Examination results are available within 2 to 10 business days. The Board will not give results over the phone; they’ll mail your license within 14 days if you pass the exam. If you fail the exam, the Board will issue a Candidate Performance Report (CPR) outlining your strengths and weaknesses. You should use the report to prepare for your retest. Alaska law requires nurses hold a temporary permit or license before practicing in the state. The practice for compensation by a person who is not licensed or a person whose license is suspended, expired, or revoke is not authorized and may be punishable by law. Applicants for licensure must complete an accredited nursing education program before submitting an application to the Board. The board may issue a temporary permit, at its discretion, to examination and endorsement candidates after reviewing a completed application, fees, verification of education/ licensure, and receiving the completed fingerprint cards. The temporary permit is valid for 6 months only and is non-renewable. The permit will be rescinded if a candidate for licensure by exam fails the NCLEX. All applications must submit a completed fingerprint card for a criminal background check. Graduates of approved nursing programs should apply for licensure by examination by submitting the following the Board of Nursing. A completed and notarized application. Make sure that you use an up-to-date application form as the Board regularly updates application forms. A passport type photo that is approximately 2” x 2” and showing your face and shoulders. The photo should not be more than 6 months old. A check or money order in the amount of $275 (or $325 if requesting a temporary permit) made payable to the State of Alaska. The fees include the non-refundable application fee ($50), licensure fee ($165) fingerprint fee ($60) and temporary permit fee ($50). A completed fingerprint card supplied by the Board or form FD-258. A completed Nursing Program Verification form sent directly from the school to the Alaska Board of Nursing. Also request your official transcript to be sent along with the form. The transcript should indicate they type of degree conferred and your graduation date. A written letter explaining dates, locations, and circumstances surrounding each conviction and supporting documents that are applicable if you answer “yes” to any criminal history questions. All foreign graduates must take the NCLEX. Submit an evaluation of your nursing education by the CGFNS Credentials Evaluation Service. The evaluation must include a full education course-by-course report. Submit evidence of passing the TOEFL-PBT, TOEFL-IBT or TOEFL-CBT and TSE or IELTS. All documents not in English must be accompanied by certified English translations. Non-English documents must be transcribed by a certified English translating agency. Indicate your request for a temporary permit on the application. The Board will issue a permit only after receiving a completed application, fees, fingerprint cards, and verification of education. The temporary permit is valid for six months only and is non-renewable. The Board will rescind the permit if you fail the NCLEX-PN, and you must return it to the Board’s office. Register to take the examination with Pearson Vue at any point during the application process. If you require special accommodation, you must complete the Examination Accommodation for Candidates with Disabilities form and submit to the Board. Applications are processed in the order they’re received and could take approximately 10 business days. Incomplete applications will delay processing. 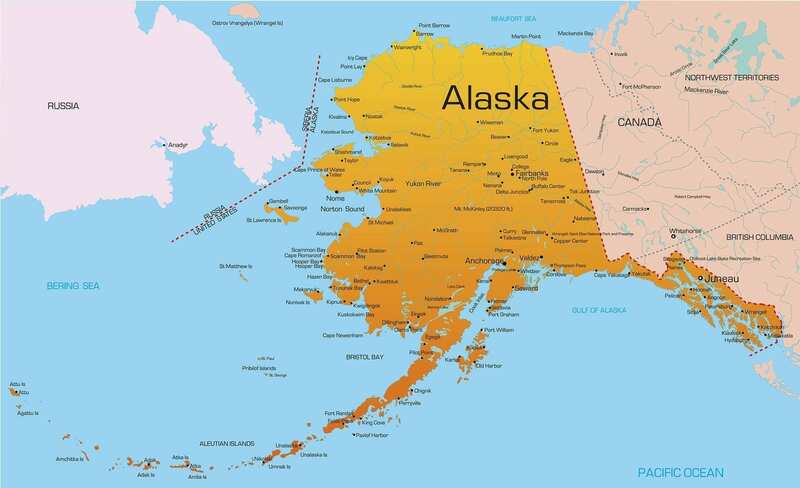 Nurses licensed to practice in another state or territory may practice in Alaska after obtaining a temporary permit or license from the Board of Nursing. Verification of your current license sent directly from the licensing agency to the Board of Nursing if the state does not use the online verification system at Nursys. The license must be current to qualify for endorsement. Inactive licenses are not considered current. A completed Employment Verification Form indication at least 320 hours of nursing practice within two years prior to the date of application. If you cannot meet the employment requirements, you must satisfy the continuing competency requirements or complete an approved refresher course. Verification of license from the state of original licensure. Use Nursys for license verification if your state participates or mail the Request for Verification of License document to the state where you were originally licensed. The licensing agency should complete the form and mail to the Board of Nursing. The application will be processed in 4 to 6 weeks. The temporary permit is issued at the Board’s discretion. To qualify for the permit, you must submit a completed employment verification form, a certified true copy of your current license in another state, and the temporary permit fee along with the application documents. Temporary permits are valid for 6 months only. LPN licenses expire on September 30 of even-numbered years. Initial licenses issued within 90 days of the expiration date will expire in the next biennium. In order to continue practicing, you must renew your license on or before the expiration date – no grace period is available. The Board will mail renewal notices within 60 days of expiration to your last known address. It is vital that you report address changes to receive notifications from the Board. If you receive your initial license on or after October 1 of an odd-numbered year, you will be exempt from the continuing competency requirements for the first renewal. Maintain proof of your continuing competency as the Board selects licensees for random audit. You will receive notification of the audit in writing and must submit documents within 30 days. The demand for services provided by LPNs is expected to increase over the next few years partly because of an increased number of seniors with special health care needs and disabilities. In long-term care facilities, there are increasing instances of admissions and some facilities have to turn away prospective residents due to lack of space. The gradual rise in chronic conditions, such as diabetes, seizures, life-threatening allergies, and disabilities, also increase demands for LPNs in the population at large. Senior health care needs include catheterization, medication administration, positioning, equipment monitoring, and care coordination. These duties fall outside the scope of practice of CNAs and place burdens over overworked RNs. LPNs are suitably positioned to provide these services in patients’ homes and long-term care facilities. Therefore, as some hospitals indeed phase out LPNs due to the limited scope of practice, there are still many opportunities for employment in long-term care. LPNs are also strategically positioned to develop as a nursing professional in many ways. They can earn certifications through continuing education and become more marketable. LPNs with the appropriate credentials will qualify for a higher number of jobs in every sector. Specialties such as pharmacology, long-term care, gerontology, and IV therapy are especially attractive to potential employers. Home health care affords LPNs excellent pay, some level of independence, and a quieter work environment. After obtaining experience in home health care or physicians’ offices, LPNs can assume supervisory positions and oversee unlicensed staff and other LPNs. The benefits of pursuing further education are innumerable especially when LPNs study to become registered nurses. Bridge LPN-to-RN programs employ a curriculum that leads to an Associate of Science in Nursing or a Bachelor of Science in Nursing (BSN). Your career as an LPN represents more than just a source of income. It could serve as a point of entry into the nursing profession, which will provide many opportunities to develop. LPNs are also valuable to employers, especially skilled nursing facilities where they need professionals to manage the growing senior population. Alaska’s LPNs earned a median annual wage of $54,380 in May 2014. Their salaries are among the highest in the nation. LPN’s aren’t being hired just about anywhere now. Get your R.N. or better yet, your BSN!! !